Oh and fdcunnane…I’m dying to see that gorgeous hair and face! Oh, yummy! Absolutely! He wouldnt have to say a word or sing a note! Leelee, how nice, I read in one breath, GRAZIE MILLE Margaret, Camille, Phil and Fdcunnane, I looked forward to reading your comments. Definitely the kind of concert Tribute to Three Tenors, imposes some stricter attitude and smile thinking about the effort they have to do our boys to stand still and serious. I really impossible that a concert of such beauty can be boring, some people do not appreciate the classic can not really understand. They are proving to be able to offer something different from last year’s program and a program that is certainly not for all the singers, but they are all this and more. The AVE MARIA is really the icing on the cake. Marie and Rose, I associate myself to mess up that hair !! Daniela you are more than welcome to join us. I really don’t see how anyone could find their concerts boring. Just hearing the opening notes of all these beautiful songs was so exciting. I felt it was the best set list or repertoire they have ever performed and they were relaxed, smiling and just perfect. Since this was the closest I have ever been seated, it was lovely to see all the gestures, pats and just looks showing their support to each other. I do think the cost of the Meet and Greets may have kept the numbers down. I know I chose to pay more for better seats in Easton and also at Radio City rather than the Meet and Greet. I know many people have loved their Meet and Greets but I only went to one in Easton last year and thought some people handling it (they may have been security) were pretty rude and gruff. Margaret what a beautiful thought you had for the flowers. Tonight you’re still so close? Expect to read your emotions. thank you, thank you, it is so great to hear these reports. i absolutely love Mater Miseraecordia and so i’m so pleased they are including it. Now i am even more excited for the concerts i have booked. Funny you should ask, Barbara. Margaret mentioned that the Maestro is from Sicily so maybe it is the same orchestra. Wouldn’t that be nice? For your wonderful sharing with us. Leelee great post. March 25th seemed so far away when I bought my tickets but with each concert I feel I am finally going to Las Vegas. I loved “Ave Maria” from the moment I heard it and can’t wait to hear them sing. Wow!!!! Can it really be possible that they continue to get better and better!! Thank you everyone for the great stories. There is a video on YouTube of them singing Mater Misericordia!!! Sheer perfection!!! I’m with you Marie…. would love to run my fingers through Igna’s gorgeous hair!!! Happy birthday,you ´re not celebrating 88,you´re 22 years of age and very soon you will have rande meeting with your Piero! experiences from concerts,I was delighted to sing also Mater Miseraecordia /this is my favorite song too/.I look forward to the next report and pictures. Me, too, Zdena. Can’t wait to see what folks will be sending in so we can share them with everyone here. Thank you so much for the reports of the first concert in the new tour. It must have been a terrific evening with The Boys in “top form”. I cannot wait for all the comments on the future shows, it almost seems as if we are attending every one. Have a great time at the concert tonight !! And a big grazie mille to all of you that sent in comments! We are getting off to a great start. It can only get better! Only a few hours at the concert at Radio City Music Hall. Gianluca sends this video from RCMH. He says who have just arrived in theater and shows an overview, in the background you hear Piero doing vocals. Finally Gianluca devotes us a piece of GRANDE AMORE. Awww, they are so excited to be there. How cute is that? Marie anything, you saw how beautiful they were at the concert? Elegant !! 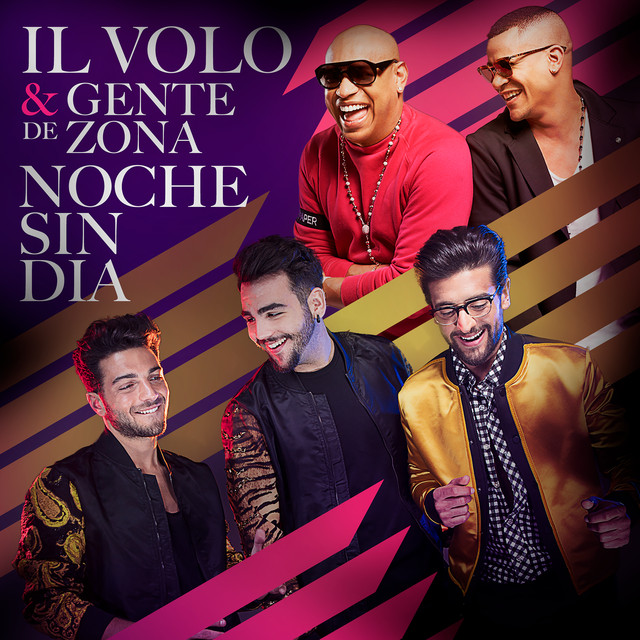 Ignazio super super super …..
One note, I do not see more in the cloud, the number of comments. Technical problem ? Now…everybody back off! Don’t even look at that photo. Go on… get away. Do it now! It’s for me. I’m not sure who is more excited to be there…. the guys or the fans???? 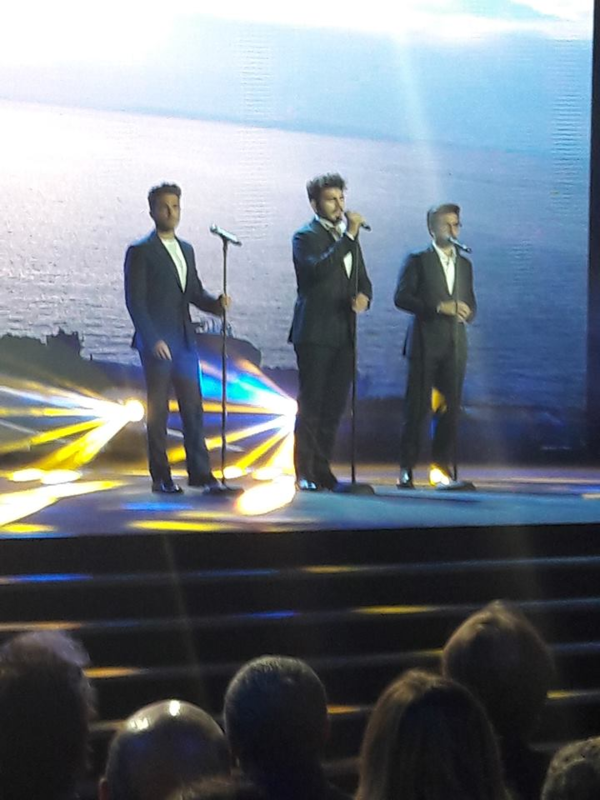 Congratulations to Gianluca, Ignazio, and Piero for showing the world how talented you are. Hi Daniela, I had just noticed the photo of Ignazio on his Instagram , and knew I could not get a copy of it, but one minute later here you are with the picture for us( Marie will have to share it with me) don’t worry, she will be sleeping now so she won’t know! Hi again Daniela, I have a feeling that Ignazio was smiling at Alessandra. Do you feel that too? I have the same feeling, but it’s so nice that all of us may think that smiles to her. No! He is smiling because he will see me in 12 days. I thought you people would know that. What’s wrong with you? Finally, someone who knows what’s really going on! Thanks, Rose Marie. When he comes to Connecticut i’ll have a serious man-to-man talk with him and have him confirm that he was smiling at Marie…. Stop kissing up, Rose Marie! You have no idea what you have done when you feed Marie with a line like that. She will be unbearable. We’ll have to have a talk in Detroit! Hi Leelee, but Marie makes The Flight Crew so interesting. Gosh, if she ever catches him we will never see or hear from her again. But we can have a heart to heart in Detroit. I love this group. Feels like family!!!! !